Don't forget to drop by and support us on INDIE DB, thanks. SIDE SCROLL STUDIOS has released the next Article for Corpses 'N Souls. Corpses 'N Souls custom game engine 2DEvolved has gained real-time 2D per pixel destruction! In today's article, I will be showing the GDC 2018 tech demo featuring real-time 2D per pixel destruction and go into detail for each of the 36 engine features. Also I will discuss the future plans of Corpses 'N Souls. Corpses 'N Souls – Real-time 2D destruction plus GDC 2018: Tech Demo - Article. SIDE SCROLL STUDIOS has released a new video that shows the new real-time 2D per pixel destruction. Corpses 'N Souls custom engine 2DEvolved has gained real-time 2D per pixel destruction! In today's video, I will be showing the GDC 2018 tech demo featuring real-time 2D per pixel destruction and 34 other features. Corpses 'N Souls - Tech demo + real-time 2D per pixel destruction GDC 18 - Video. CORPSES 'N SOULS 2DEvolved 2.0! SIDE SCROLL STUDIOS has compelted the work on version 2.0 of the powerful 2DEvolved game engine. Version 2.0 of the 2Devolved game engine that powers Corpses ‘N Souls brings many changes and advancements to an already powerful game engine. New render features have been added as well as massive stability and performance advancements. A video on the updates will be released in the month of May look for it. CORPSES 'N SOULS Top 100 2015! 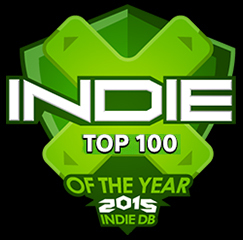 INDIE DB has announced that Corpses 'N Souls is part of the Top 100 for 2015. At the end of the year INDIE DB held their annual Top 100 best indie games competition once again. This year Corpses 'N Souls cracked the Top 100 and took the 45th spot respectfully and was awarded being part of INDIE DB's Top 100 2015! Corpses N Souls - makes the INDIE DB Top 100 in 2015. SIDE SCROLL STUDIOS has added DX11 support to Corpses 'N Souls. 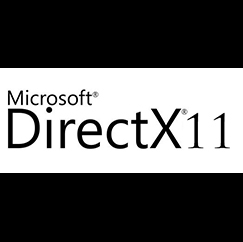 2DEvolved ver 1.5 can now produce DX11 builds of any game built in the updated engine. Corpses 'N Souls has been converted to DX11 and is fully working in and runs great. SIDE SCROLL STUDIOS has added OpenGL support to Corpses 'N Souls. 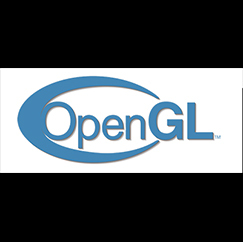 2DEvolved ver 1.5 can now produce OpenGL builds of any game built in the updated engine. Corpses 'N Souls has been succesfully converted to OpenGL and is fully working and runs great. SIDE SCROLL STUDIOS has added x64 aka 64 bit support to Corpses 'N Souls. With the addition of 64 bit support Corpses 'N Souls will no longer support 32 bit. 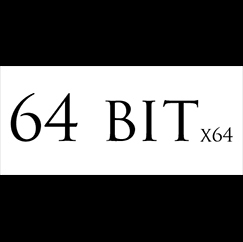 Moving forward with 64 bit support provides new options and removes any limitation the 2DEvolved engine used to have. Today we reveal the logo of the 2DEvolved engine that has been custom built for CORPSES 'N SOULS and many other awesome 2D games that are planed. The 2DEvolved engine is a powerful multi core game engine that takes advantage of modern multi cored CPUs, modern GPUs and multi GPU configurations. From pushing a Physx like dynamic particle system that is not GPU specific to dynamic lighting, post FX and a host of other modern techniques. 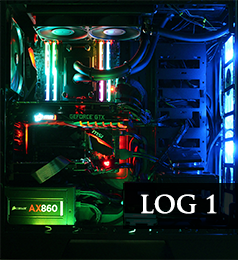 All of which is running @ a base line of 1080p 60fps to a staggering 5760x1080 in multi monitor configs. The 2DEvolved engine is ready to evolve 2D games to the modern era.